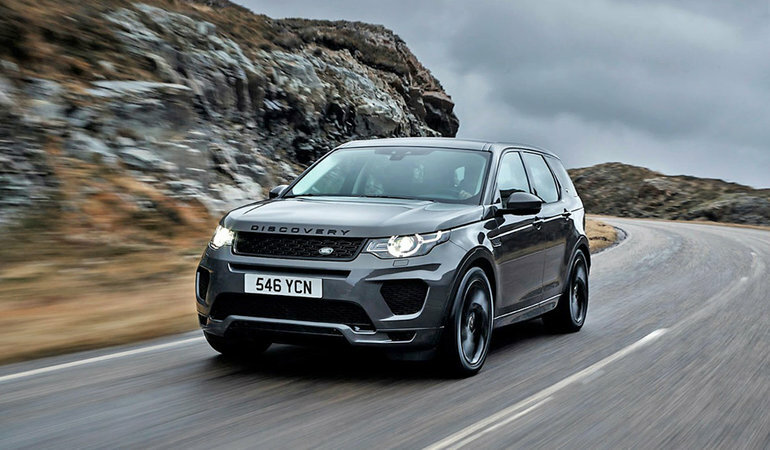 The 2018 Land Rover Discovery Sport is one of the most appealing SUVs in its compact luxury class, capable of hauling a family of seven around town, across the country, or for that matter up the side of a mountain in absolute comfort. Its unmistakable Land Rover styling and rugged good looks endow it with immediate respect, but you don’t have to tell anyone that it’s also one of the most affordable SUVs in its class. Its also one of the most comfortable thanks to standard partial leather seating and one of the more spacious cabins in the class, not to mention it’s the only compact luxury SUV with available three-row, seven-passenger seating. Superb interior quality and an impressive array of standard and optional features combine with a sporty standard turbocharged four-cylinder engine that delivers strong performance and great fuel economy, the latter thanks in part to a nine-speed automatic transmission (for the most forward gears in its class), plus a standard Eco mode and auto start/stop that shuts the engine off when it would otherwise be idling, while performance improves via standard paddle shifters and Dynamic sport mode. The Discovery Sport also gets standard Snow and Off-Road modes, the latter denoting its ability off-road. True to Land Rover’s heritage, it’s the only true 4x4-capable SUV in its class, making it the ideal family adventure vehicle. Whether setting off on a summer wilderness camping trip or merely hitting the slopes mid-winter, you can be confident a sudden deluge or snowstorm won’t leave you stuck in the mud or deep snow. It’s even more capable for towing a trailer than most of its rivals. To help you figure out how the 2018 Land Rover Discovery Sport stacks up next to its premium-branded competitors, we’ve put together a simple, straightforward, point-form list of key standard features and specifications (plus options) from the base trim levels of its closest challengers, including the Acura RDX, Lexus NX, Audi Q5, Mercedes-Benz GLC, Volvo XC60, and BMW X3, so go ahead and make your own decision about which compact luxury SUV best suits your family’s needs. What’s more, the Discovery Sport’s standard infotainment touchscreen is one of the largest in its class at 8.0 inches, which means you’ll benefit from an expansive rear view through its backup camera, while it’s also the only vehicle in this group with standard rear parking sensors, improving safety further, plus the side mirrors automatically fold inward when parked, making it easier to get past in a narrow parking spot.